On Christmas Eve, the Government of Jamaica gave us an early gift by signing and publishing in the Jamaica Gazette 2 Ministerial Orders banning importation, distribution, manufacture and use of commercial quantities of single use plastic. Many questions have since arisen, such as what are households now to do with the scandal bags piled up under the kitchen sink? Do we just throw them away or can we still use them to transport personal items or as household garbage bags? What are businesses who have these items in stock to do? Can I accept a plastic bag from the supermarket if they offer one? How does one apply for an exemption? Now that we have the Trade (Plastic Packaging Materials Prohibition) Order, 2018 (“the Trade Act Order”) and the Natural Resources Conservation Authority (Plastic Packaging Materials Prohibition) Order, 2018 (“the NRCA Order”), this article will look specifically at what is and is not permitted, and outline the process of applying for an approval to manufacture or use single use plastics. drinking straws, made wholly or in part of polyethylene or polypropylene, manufactured for single use. The Trade Act Order provides that “ day of January 2019, no person shall distribute any single use plastic in commercial quantities”. The prohibition is subject to a few exceptions. Are drinking straws made wholly or in part of polyethylene or polypropylene, manufactured for single use, and attached to, or forming part of, the packaging of juice boxes or drink pouches, but only until January 1, 2021. There is no provision for any other exemptions under the Trade Act Order governing importation and distribution of single use plastic. Contravening the Trade Act Order is an offence which carries liability on summary conviction before a Parish Court Judge to a fine not exceeding J$2,000,000 or to imprisonment for a term not exceeding 2 years. The NRCA Order provides that “ with effect from the 1st day of January 2019, no person shall manufacture or use any single use plastic in commercial quantities”, subject to a few exceptions. Are drinking straws made wholly or in part of polyethylene or polypropylene, manufactured for single use, and attached to, or forming part of, the packaging of juice boxes or drink pouches, until January 1, 2021. A person who contravenes the NRCA Order also commits an offence and is liable on summary conviction before a Parish Court Judge to a fine not exceeding $50,000 or to imprisonment for a term not exceeding 2 years. In the NRCA Order, the Minister of Economic Growth and Job Creation is given power, on the written application of any person, to designate that person as an approved person to manufacture or such single use plastics as may be described in the written approval, which may be subject to such terms and conditions as the Minister thinks fit. The Minister may then require the applicant to furnish such additional information as the Minister may consider necessary or desirable to enable him to decide whether or not to grant an approval. An approval may be cancelled by instrument in writing by the Minister, who may also amend any term, condition or other provision of an approval on an application made by the approved person. Approved persons will be issued with a certificate certifying the approval and stating its terms and conditions, if any. The certificate is to be returned if the approval is cancelled. What about the environmentally friendly plastic bag? Both Orders apply even to single use plastic bags that are, or are labeled as, degradable, biodegradable, oxo-degradable, photodegradable or compostable– all of these, in commercial quantities, are prohibited from importation, distribution, manufacture and use unless they fall under the exceptions in the Orders or you are an approved person for manufacture and/or use under the NRCA Order. Importantly, however, in both Orders a quantity shall be taken to be commercial if the quantity is such that it is reasonable to conclude that it is directed toward sale by wholesale or retail for the purpose of obtaining economic benefit, whether in cash or kind. Importation, distribution, manufacture or use of single use plastic for personal use therefore remains permitted, scandalous as that may be given the continuing issues we face in the areas of collection, sorting and disposal of waste. Can we still use single use plastic? According to the exceptions in the Trade Act Order, distributing single use plastics imported before January 1, 2019, even in commercial quantities, does not amount to an offence. This likely explains why, in some instances, we continue to see plastic bags, plastic straws and Styrofoam packaging being distributed at supermarkets, pharmacies, restaurants, etc. It will, however, be interesting to see how distributors will, in future, prove whether the plastic they are distributing was imported before January 1, 2019 and when and how the Government will draw the line. Further, under the NRCA Order, there is no exemption for using single use plastic imported before January 1, 2019. Accordingly, it may appear that by accepting the exempted distribution of single use plastics, individuals are placing themselves in contravention of the Order. However, they too may be exempted by the fact that the ban is only on commercial quantities so that the use, by an individual, of the exempted distributed plastic, is unlikely to be caught by the ban. So, don’t throw away those scandal bags just yet! Single use plastics will likely remain a feature of Jamaican life for a little while longer. However, it is hoped that the ban and future policies on waste management will ultimately and in good time achieve the complete disappearance of the Scandal Bag from the local landscape. 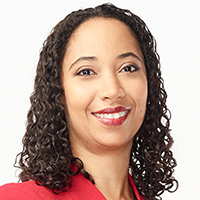 Alexis Robinson is a Partner at Myers, Fletcher & Gordon and is a member of the firm's Litigation Department. Alexis may be contacted via alexis.robinson@mfg.com.jm or www.myersfletcher.com. This article is for general information purposes only and does not constitute legal advice.